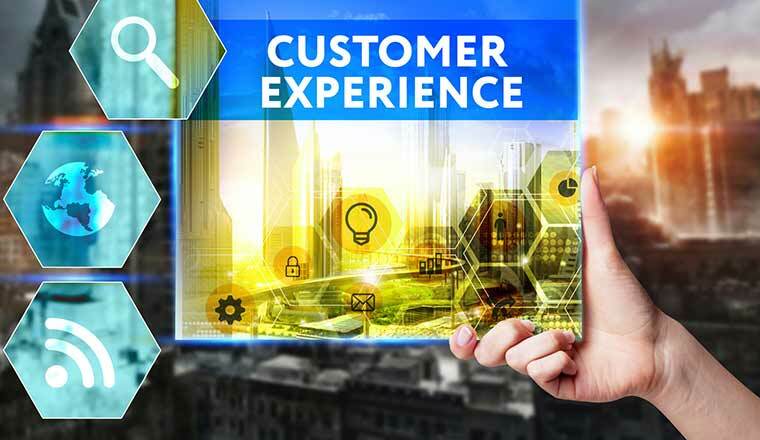 Customer Experience Management – what is it really about? Customer Experience Management (CEM) is one of the latest buzz words to be used in the industry. But what does it really mean? Richard Snow shines a light on the subject. 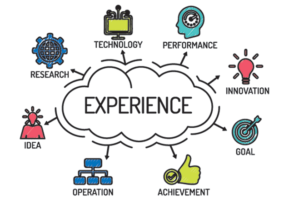 At the end of last year I carried out a research project into Customer Experience Management (CEM) and it confirmed what I have always thought: CEM means different things to different people. Of the 253 qualified respondents I used to compile the final report, 56% thought it was about improving customer interactions at every touch point, 27% thought it was about influencing customer’s behaviour so they remain more loyal, 7% were not familiar with the term, 7% thought it was just another term for CRM, 3% thought it was about improving customer satisfaction and the final 1% thought it was just media hype. After analysing the term and the rest of the results, I tend to go with the majority and think it is about improving the experience at every touch point. The outcome of CEM might be more loyal, satisfied customers but the key is handling every individual element of the interaction so the customer feels good at the end of the whole interaction and the company achieves its business objectives. My research also showed that while other channels are growing in importance, the main channels customers use remain calls to a contact centre and visits to the company’s website; social media might have overtaken these by pure volume but it is yet to be shown whether it is really a viable channel to support customer service and sales. Taking this and accepting the most popular definition of CEM means in effect that CEM is about making every call to the contact centre and every visit to the company’s website as positive as possible, both for the customer and for the business. Taking phone calls first, what challenges do they raise for companies? The same research into CEM showed that companies rate the following as the top five things that impact the customer’s phone experience: the attitude of agents, the agent’s understanding of the caller’s issue, time spent in a queue, the agent’s ability to resolve their issue first time and the agent’s knowledge of the subject they are calling about. So clearly the answer is agents – having enough available not to let queue lengths grow, ensuring agents have the right technical, product and inter-personal skills, and supporting agents as they carry out their job so they can focus on the customer. What I have seen lately is that companies are increasingly using analytics to support them in their efforts to meet all three of these challenges. Firstly, more companies are deploying real-time operational intelligence systems that provide a real-time view of what is happening in their centre so they can take immediate action to rectify any issues. Secondly, there is an increasing take-up of speech, text and desktop analytics. These allow companies to analyse the content of recorded calls, emails, chat sessions, customer surveys, tweets, etc. and how agents are actually using their supporting systems. This not only gives companies far greater insight into what their customers are saying but it can also identify what agents are doing right and what they are not doing so well. Desktop analytics is proving particularly effective at uncovering the processes and activities agents undertake to resolve customer calls. It can show what systems agents use, what data they need and also what data they collect, it can show how agents navigate within a system and how they navigate across systems, and it can show precisely how much time agents spend on each segment of a call (identifying the customer, identifying the issue, resolving the issue, raising any other issues or trying to cross-sell to the customer, and closing the call). how the desktop can be improved to support agents better. To my mind, this last point goes to the core of CEM. My research into the use of technology in contact centres showed that on average agents have to use 8 systems to handle a call, and this number can rise to 20+. While agents concentrate on dealing with all these systems, it doesn’t matter how skilled they are, they are distracted (at best) from trying to ensure the customer is happy. To meet this challenge, more and more companies are deploying what I call a smart desktop. These at the very least allow agents to sign-on once and gain point-and-click access to all the systems and information they need to resolve customer calls. Better versions of a smart desktop actually hide all the systems behind a new user interface that is much simpler to use and mirrors the steps an agent needs to go through to resolve different call types. The very best systems go one step further and use a rule-based engine to analyse customer information and what is happening at the desktop to pop advice to the agent as to what they should do next: ask a specific question, collect and enter data in a certain field, ask a cross-sell question, etc. All of this capability goes to the core of those five key challenges and therefore makes the smart desktop a key to CEM for call handling. Next I want to take a look at the corporate website, and especially customer service sites. My CEM research showed that companies think the top five things that impact the customer experience for web-based self-service are: ease of navigation, look and feel, simplicity of buying products, consistency of information, and response times. Now while I agree all these are important, the very fact that only 44% of respondents told us that their customers are satisfied with their website indicates that something must be missing. I think the answer lies with the 2% of companies that said personalisation of content and offers is key to delivering a great web customer experience. Yes, we will all notice if response times are a little slow and it is not always obvious how to find what you are looking for, but how would customers react if they received a personal greeting, how would they feel if instead of ploughing through 50 FAQs they were asked a question in normal language and their answer was delivered in the same way, and how many more things that were put in a cart would actually be purchased if during the process the customer was given a personalised offer. I think that like me, most people would react very positively to all of these and similar features. So in the same way as a smart desktop is key to the phone call experience, then a smart website is key to a great web experience. To summarise, I believe what CEM is all about is proactively managing the customer experience during every phone call and every visit to the website, and then doing the same for more channels as they gain in popularity. Better analytics can help point the way to what needs to be done but the heart of CEM is deploying a smart desktop to support agents in their efforts, more focused training and coaching for agents, and having a smart self-service website. I take these definitions to heart as a holistic view of CEM, and my book Innovating Superior Customer Experience explains how to **start with the customer’s world** instead of the old-thinking “what do we want our brand to stand for in customer’s minds”.